This classic book (volume two of three volumes) is almost exclusively concerned with quantum electrodynamics. As such, it is retrospective in its subject matter. The topics discussed range from anomalous magnetic moments and vacuum polarization, in a variety of applications, to the energy level displacements in hydrogenic atoms, with occasional excursions into nuclear and high-energy physics. 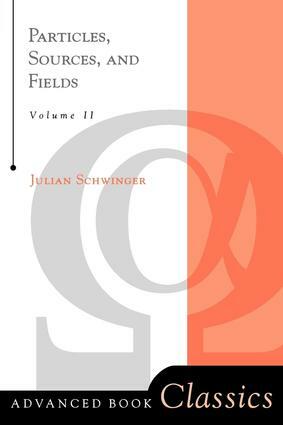 Based as it is upon the conceptually and computationally simple foundations of source theory, little in the way of formal mathematical apparatus is required, and thus most of the book is devoted to the working out of physical problems.